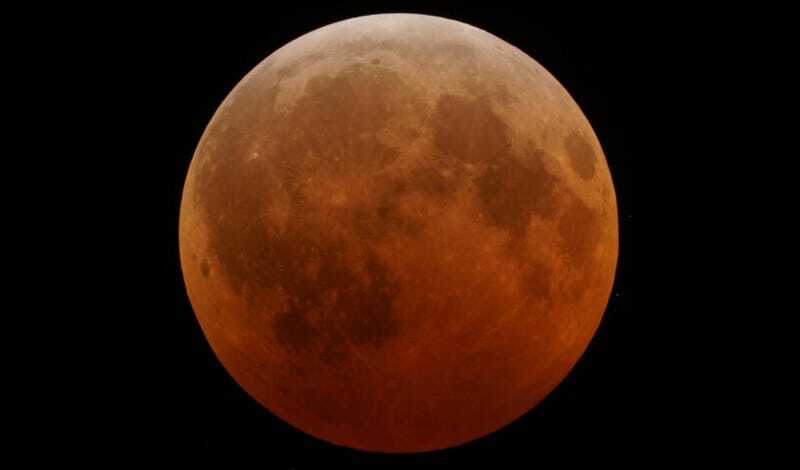 Check out the all-American lunar eclipse on April 15! Do you not really enjoy sleeping? Do you live in North and/or South America? Then check out the Moon on April 15 for some sweet lunar eclipse shenanigans! The moment of greatest eclipse will be at 12:45am PDT (3:45am Eastern) but the penumbra kicks off at 9:45pm the night before, with the last bit of the Earth's shadow passing around 3:37am. (Total eclipse will be from 12:06am–1:24am PDT.) Some parts of Europe, Africa and East Asia can catch at least bits of the eclipse, but the Americas (and New Zealand) will get the best view. NASA has put together a very 90s-looking PDF with all the details. The next year-ish will actually see a cluster of four lunar eclipses, in what's called a "tetrad" (why? I dunno, it's Greek to me.) If you miss this one, you'll get three more chances: next in October 8, then twice more in 2015 on April 4 and September 28. If you miss all four, the next tetrad of eclipses will be in 18 years so you'll probably get another chance.